Meeting with a large plumbing fixture manufacturer, we were talking through the normal questions of where most of their traffic comes from, what type of Social Media activity do you do, etc. We talked through the normal Social Media sites – Facebook and Twitter, then moved on to Pinterest, and they brought up that most of their social focus is on Houzz.com. Unpleasant, perhaps, but not unproductive. 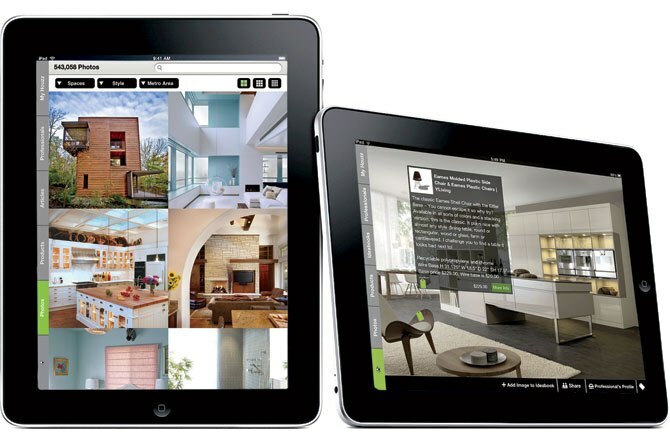 Realizing that others could benefit from online visual tools to help communicate their aesthetic desires, the couple launched Houzz—a website that, using Silicon Valley savvy and robust search technology, has cracked open the sometimes insular and intimidating world of architecture and interior design. Professionals post photos of their projects, users filter images by room or style to compile favorites, and everyone engages in free-flowing discussion. What began in 2009 as a Bay Area service has since expanded rapidly to cities across America and even internationally. The site is now visited by some six million unique viewers each month (with millions more using its iPhone and iPad apps) and offers 500,000-plus photos from over 85,000 design experts. To sum it up for you, Houzz is very much a specialized Pinterest site – with a similar look and feel – but all focused on the design and architecture industries. Again, I don’t have that Engineer Social Media case study that you have all been waiting for – this is still consumer flavored, but I do believe that continued innovations like this are moving the needle within B2B. I also think that there are interesting ideas within visualization technologies combined with Social Media like this one that are changing how we look at the web and especially our mobile devices.